The Irish Farmers Association have called on the Government and EU Commission to compensate beef farmers for Brexit losses which they say run to over €100m. Despite the UK’s exit from the EU set to be pushed back to October, Brexit stockpiles of beef in the UK are said to be weighing on prices on both sides of the Irish sea. IFA has written to both Minister Creed and Agriculture Commissioner Phil Hogan outlining the details on the €101m losses. “Beef farmers have gone through a horrendous period of financial losses, mainly as a result of Brexit imposed market uncertainty, changes to the sterling exchange rate and price cuts. “Some beef farmers are facing financial ruin. “They cannot afford to carry this magnitude of loss and it is essential that the Government and EU Commission provide a direct support aid package for the farmers concerned”. 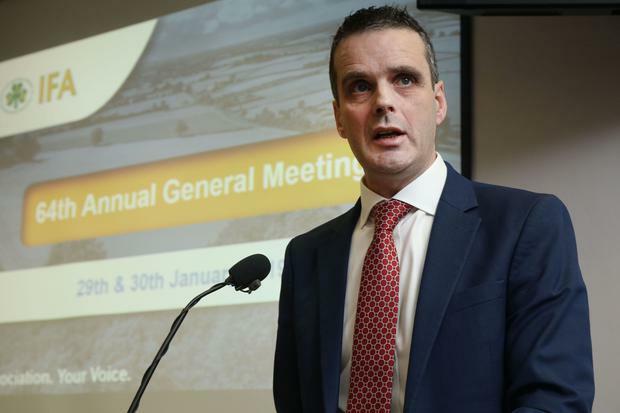 Joe Healy said this is the real test for the Government and the EU Commission on their promises to support farmers through this most difficult period. Meanwhile Ulster Farmers’ Union president, Ivor Ferguson said it is good news for agriculture that a no deal situation on 12th April has been avoided. However, he said this pattern of taking the UK to the Brexit cliff edge cannot continue. “This further extension must be used constructively. The Prime Minister, her Government and the rest of Parliament must put the interests of the country first and agree a way forward for the UK to leave the EU with a deal before 31st October. “The continued uncertainty is damaging our agriculture industry. It is putting tremendous stress on farmers financially and mentally. We need immediate clarity about what our future business and trading relationship with the EU will look like to be able to plan accordingly,” he said.